Cadiz - Classic: (Pronounced kah-deez). Named for a beautiful port city in southern Spain, the design and silhouette for Cadiz for Classic MICHE bags are timeless yet totally new. 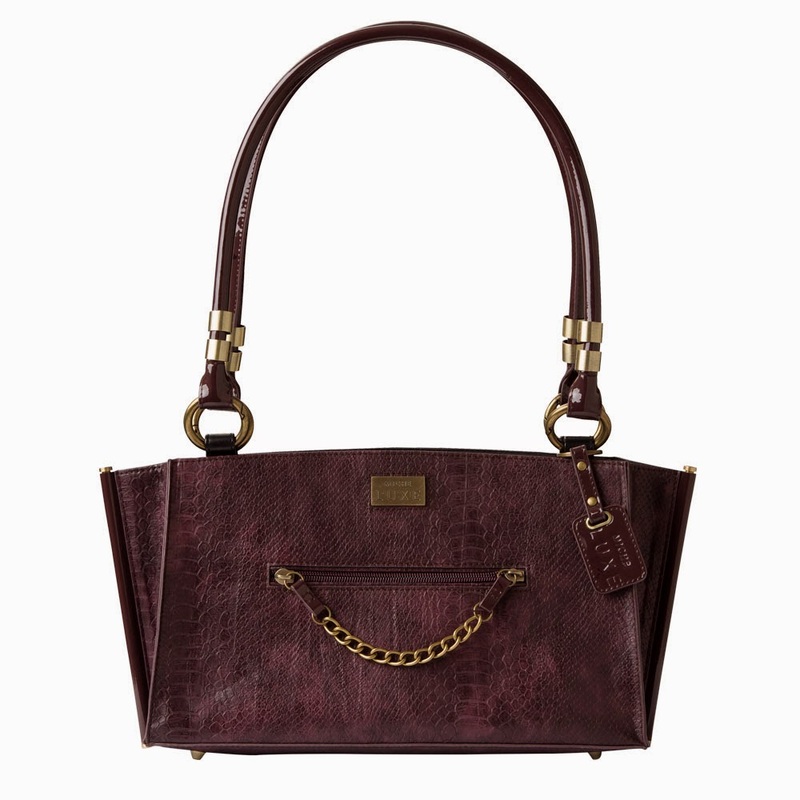 Luxurious debossed faux croc in an elegant deep plum color features flared sides and unique patent-covered sidebar hardware. Front zippered pocket with chain detail and reversed side seams complete this MICHE Luxe look. Comes with matching faux patent handles, key fob and dustcover. Antique brass hardware; end pockets. Handle length: 23 ¾”; width: ¾”; handle drop: 11 ¼”.